Well I’m feeling a bit ashamed of myself for missing a week of blogging but it’s been quite full on some good, some bad and some amazing. Last Monday I didn’t get around to journaling which hurt me greatly (I get really antsy if I don’t do something creative) but by the end of the week I’d made up for it with a bit of a quickie which is here. Some pretty simple drawing with a dip pen and black ink which I’d totally forgotten I used to love. The page underneath is Dylusions acrylics and the ink goes beautifully over the top unlike alot of pens. It was an exercise in keeping things simple without over thinking things. 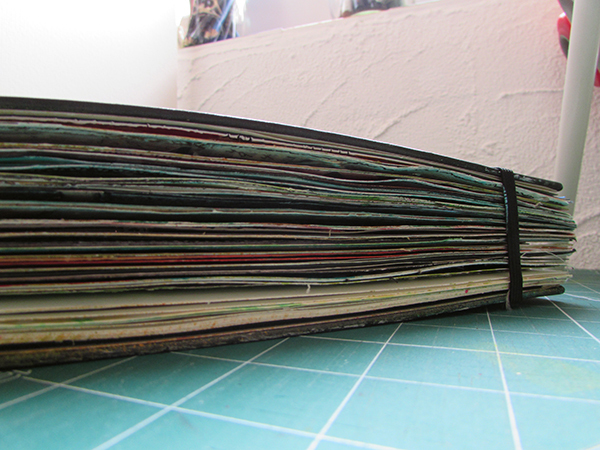 At the end of last year I posted a photo of how my Moleskine journal looks now it’s at the end, since then it’s become even fatter and is bursting at the seams, so it’s definitely time for a new one. This time I’ve bought myself a Strathmore to see how that stands up to my beloved Moleskine. While I was waiting for it to arrive I created a new page in my much smaller Dylusions journal and as usual it was while Facetiming with Clare who was also testing out a new journal, her first Moleskine. I got out the Dylusions paints and as usual I reached for my favourite colours, turquoise and green so to try and push myself out of a colour rut I thought I’d go for something I don’t normally do and put on some pink. As you can see I wasn’t so confident and didn’t slap it on too much but I was happy to know I’d broken out of this colour funk. 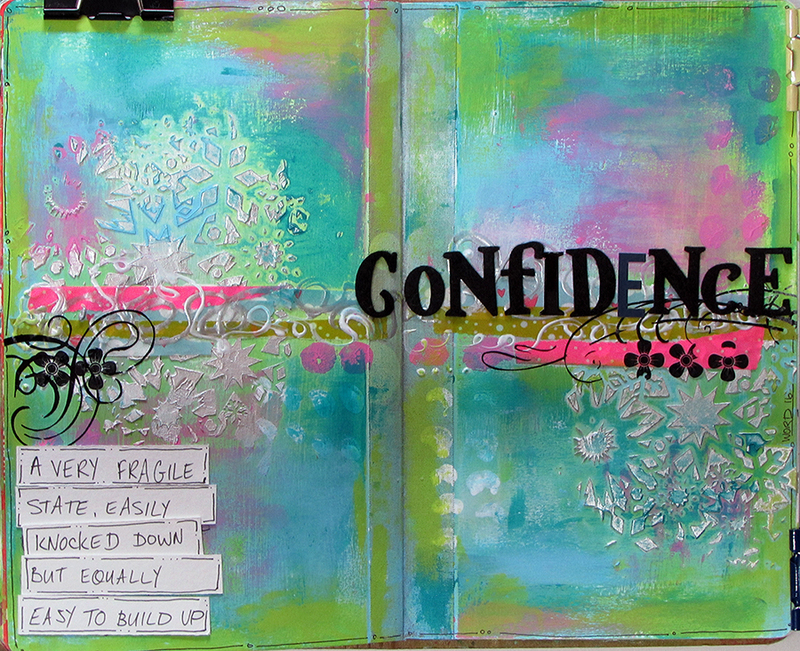 I thought I’d put the word Confidence on the finished page as it was the word of the moment. Confidence to try something new, confidence to believe in yourself and how quickly it can be taken away too with just one word. 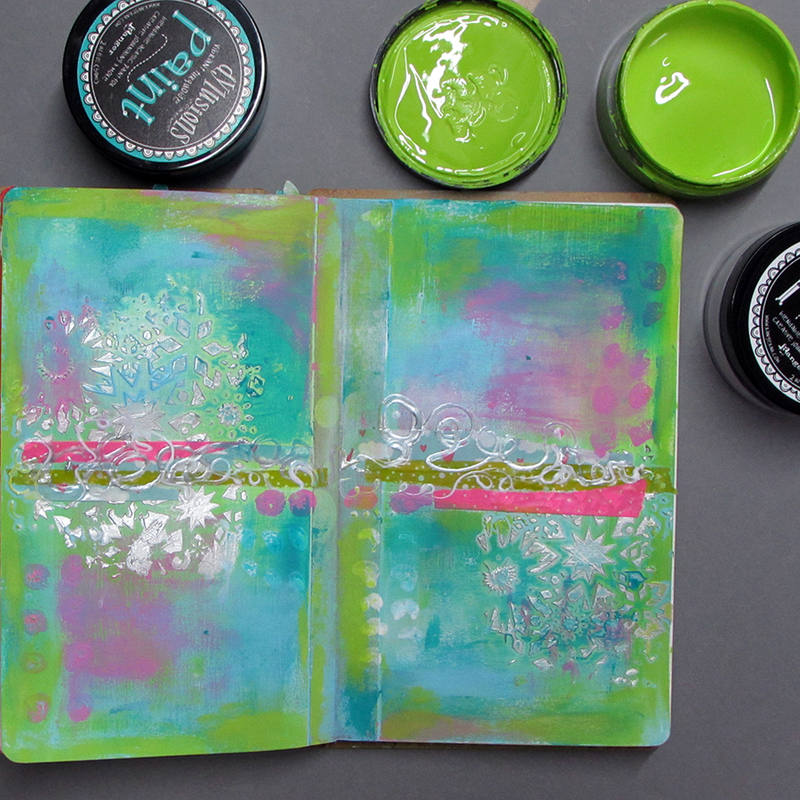 I think it’s important for me to remember that not everyone has the confidence to slosh paint around and mess make in a journal like I do and there are people who would very much like to get started in journaling but have no idea where to start. 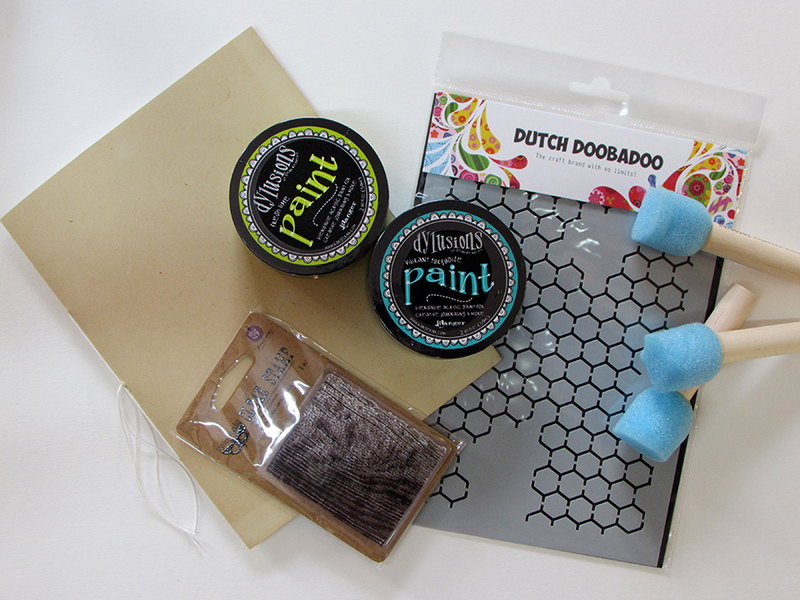 So in the shop I’ve put together a series of kits which include a hand made A5 journal, two Dylusions paints, a stencil and stencil sponges and a stamp. The journal is 8 pages of 300gsm mixed media paper so well able to stand up to paint and wet mediums and is bound with a vintage manila file folder as a cover. 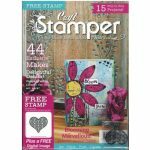 There are 4 kits Spring, Summer, Autumn and Winter, each one with different stencils and paint colours. 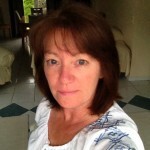 My motto for the year will be “Try something new this year” so I hope you will.